Apple iPad has been showing signs of a slowdown in recent years. And Apple is planning something special this year. Last week, the Cupertino firm announced the new iPad Air with a 10.5-inch display and the new iPad mini 5 after months of leaks. The new Air is a surprise as it was previously replaced by the 9.7 inch iPad (2018). The new iPad Air does not bring about a significant design change as it focuses on a hardware upgrade. Both new iPads are powered by an A12 Bionic chip that offers improved performance, and an 8MP rear shooter. The new Air also supports Smart Keyboard at launch, making your typing experience much easier. The new iPads are the top picks for people who are in the market for an affordable, good-quality tablet. If you are lucky enough to get one of those iPads on launch day, then I have a list of the best apps for your tablet. 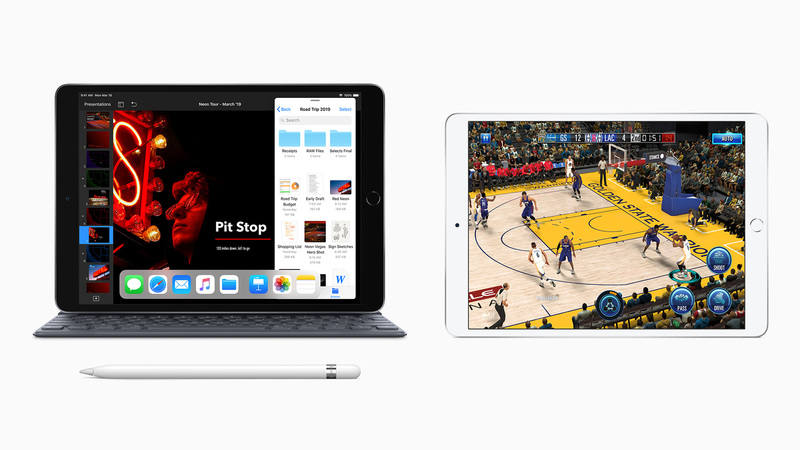 One of the biggest additions to this year’s iPads lies in first-generation Apple Pencil support. In reality, the Apple Pencil was once exclusive to the iPad Pro, but it finally debuted on the standard 9.7 inch iPad (2018). The adoption of the Apple Pencil helps to boost productivity as it allows iPad owners to take notes and stretch their ideas. Procreate is an award-winning app which offers a full set of painting and editing tools. Indeed, you can create your stunning illustrations, amazing stretches, and inspiring paintings. Also, Procreate features up to 136 brushes, allowing you to build your creative works. What sets Procreate apart from its rivals out there lies in its exclusive dual-texture brushes. Plus, you can create your own Procreate brushes and sets to spice up your works. When it comes to pricing, Procreate is now available for $9,99, a good deal for a great iPad app. The app also receives new updates on a regular basis that include bug fixes and stability improvements. Pixelmator is one of the best image-editing apps that let you create beautiful paintings and stretches. 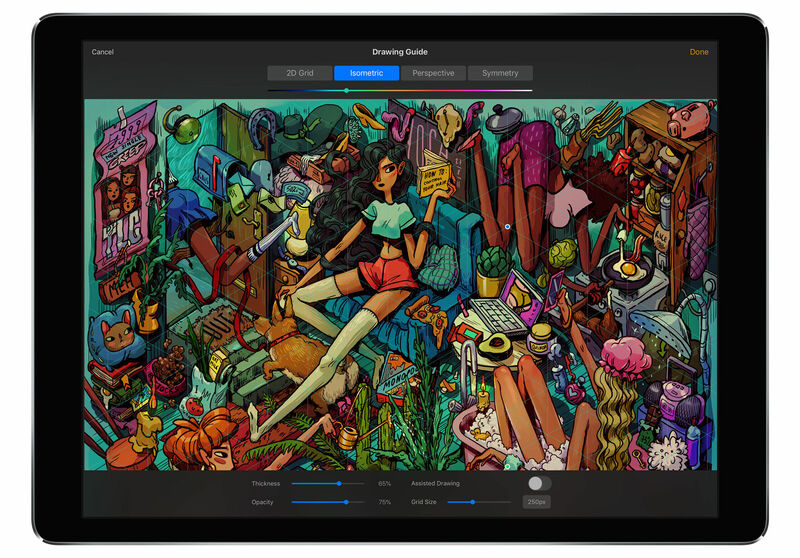 Pixelmator includes everything you may expect from an editing app, from stunning layers to incredible brushes to illustrations. The app can meet both basic and professional needs. 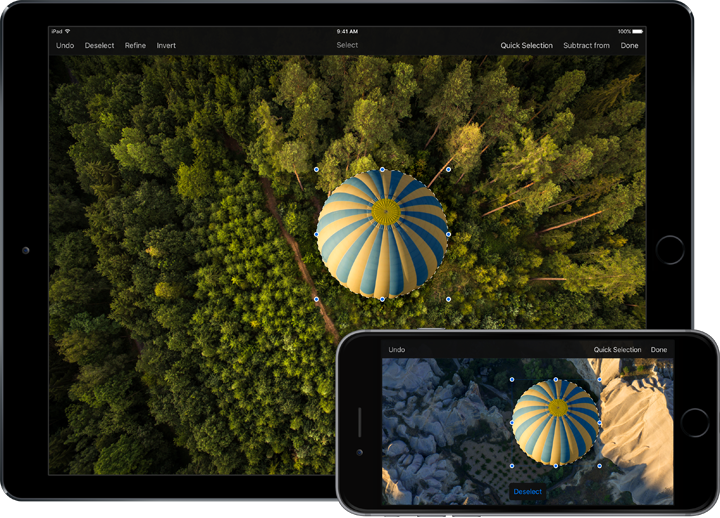 Pixelmator also includes stunning shapes, outlines, shadows, and beautiful objects. Plus, you can add visual effects and texts to your works. The coolest part is that the app works perfectly with Apple devices, meaning that you can continue where you left off. The app supports a wide range of image formats including PSD, JPEG, and PNG. Also, you can save your photos to your iPhone’s Photo app for sharing purposes. Pixelmator has been updated to support iOS 12 so you can make use of its new features and changes. If you are in the market for a cheaper image editor out there, then Pixelmator is a worth your shot. The app now costs around $5 on the App Store. 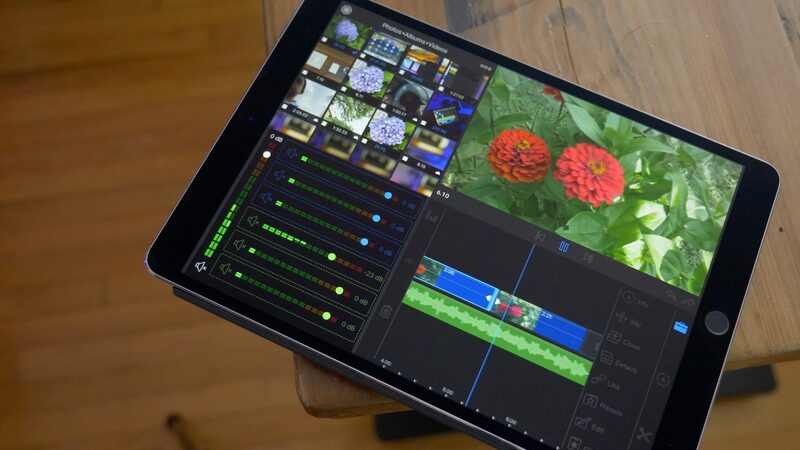 LumaFusion is one of the leading video editors for your new iPad. The app is widely used by professional producers and filmmakers out there. What sets LumaFusion stand out is that you are free to create your videos thanks to its full set of editing tools. There is also a tutorial that makes your editing much easier and quicker. Also, LumaFusion features a variety of visual and sound effects that can be used to spice up your videos. Plus, you can trim or cut your videos with professional tools. With a modern version of LumaFusion, you are able to create slow motion or fast motion videos at 120 and 240fps. Like Pixelmator, you can share your videos to social media sites and cloud storage services out there. LumaFusion now costs around $20 on the App Store and includes in-app purchases. Affinity Photo offers everything you expect from a photo-editing app, from professional brushes to filters to exposure adjustments. The app is highly optimized for Apple iPads, offering a fast and immersive experience for any user. Affinity Photo works with all standard formats out there like PNG, EXR, PDF, SVG, and many more. The app also supports iCloud Drive, meaning that you access your videos across all devices. Affinity Photo is now priced at $20, a great deal for a fully-featured app. Good Notes 5 has been around for years and serves as a reliable editing tool for your iPad. The app now supports modern iPad models, thus offering a solid option for any user. Good Notes 5 retains what we have always loved about its predecessors while adding a slew of new things, from document grouping to notebook customizations. Good Notes 5 now costs $8 on the App Store. 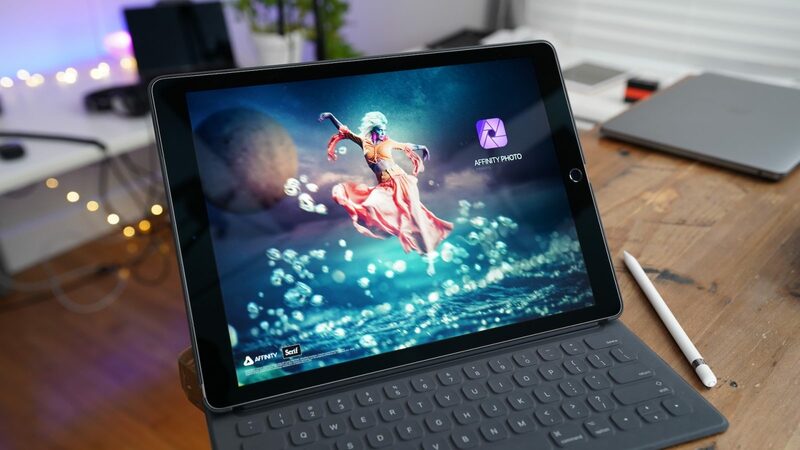 These are the best apps for 2019 iPad Air and iPad mini 5. If you have got another app, let us know in the comments below. Next articleHow to remove iCloud Activation Lock from iPhone / iPad? Before buying an IPad Mini 5, I want to ensure that GoodNotes 5 is used on it. I have a 2017 iPad Pro and use GN5 daily, hourly. So… it is fully functional on the iPad mini 5? Thanks for your reassurance!